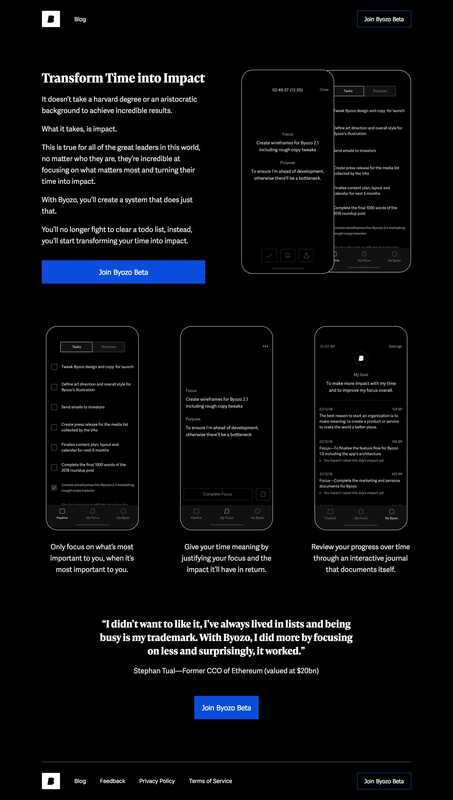 Dark-schemed launching soon page for upcoming productivity app, Byozo. With Byozo, you’ll no longer fight to clear a todo list. Instead, you’ll start transforming your time into impact.